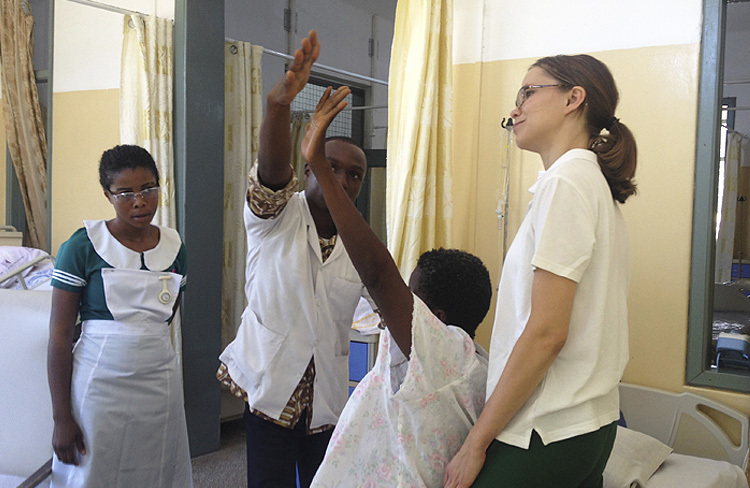 Formed in 2009, the Wessex Ghana Stroke Partnership (WGSP) has enabled collaboration between healthcare professionals from across Wessex, UK and from Korle Bu Teaching Hospital (KBTH), Accra, Ghana. We are a multidisciplinary team, from both the UK and Ghana, working together to improve stroke care at KBTH. This is achieved primarily through making knowledge about stroke accessible, sharing and adapting clinical and leadership skills, and working together to strengthen systems. We strive to support the development of the Ghanaian stroke service in a way that is culturally relevant, and where improvements can be objectively measured – leading to real and sustainable changes to patient care. The ultimate goal is to improve morbidity and mortality through the introduction of organised multidisciplinary stroke care. This project is currently supported by the Tropical Health & Education Trust (THET) as part of the Health Partnership Scheme, which is funded by the UK Department for International Development (DFID). Please note that we cannot respond to direct clinical enquiries regarding individual patients, or regarding transfers to the KBTH Stroke Unit.